The cover story of the Spring Issue, No. 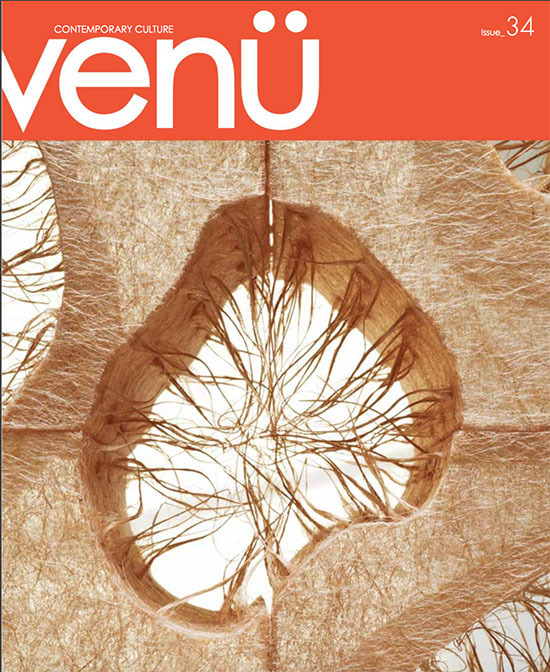 34 of Venü, the magazine of Contemporary Culture features browngrotta arts and our upcoming exhibition, Still Crazy After All These Years…30 years in art. 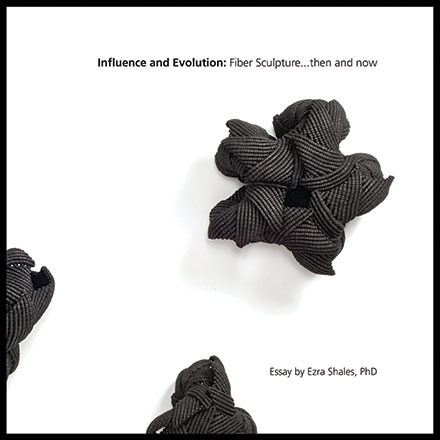 Author Cindy Clarke writes in Living Art, Timelessly Reimagined, that “Rhonda and Tom have a practiced eye for discovering museum-quality textural art and its accomplished creators. 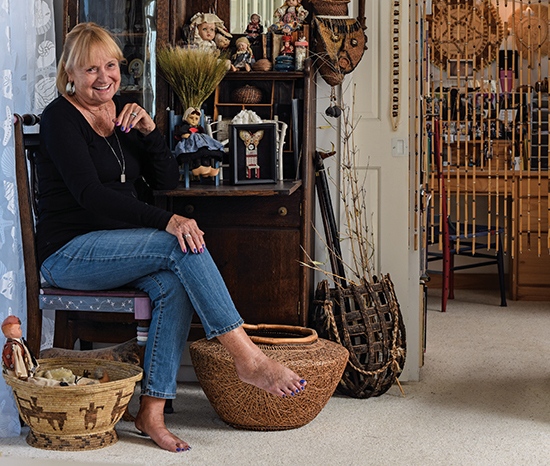 Over the last 30 years they have turned their finds into a premier art enterprise that’s in a class by itself…. Custom designed by the owners, the gallery itself is a dialog of opposites, blending elements of a historic two-story horse barn – think exposed beams, meticulously restored barndoors, original wide-plank wood flooring, vaulted ceilings – with grand, modernist spaces…. That’s the goal of this living gallery, of course, to show guests how different kinds of dimensional art fits into an environment and to give them permission and the encouragement to think out of the box to accommodate its human occupants.” Visit Still Crazy After All These Years at browngrotta arts. We will only be open for 10 days — April 22nd through April 30th; browngrotta arts, 276 Ridgefield Road, Wilton, CT 06897; http://www.browngrotta.com/Pages/calendar.php. At SOFA Chicago this week, artist Judy Mulford will present her remarkable room-sized mixed media installation Empty Chairs. 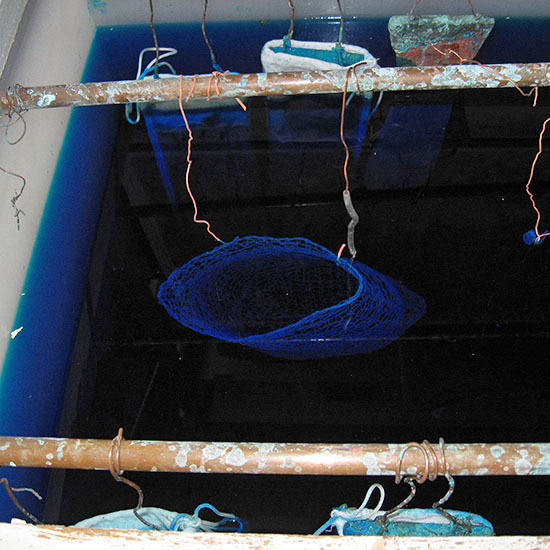 The installation features a central sculpture entitled “What now?” she said. 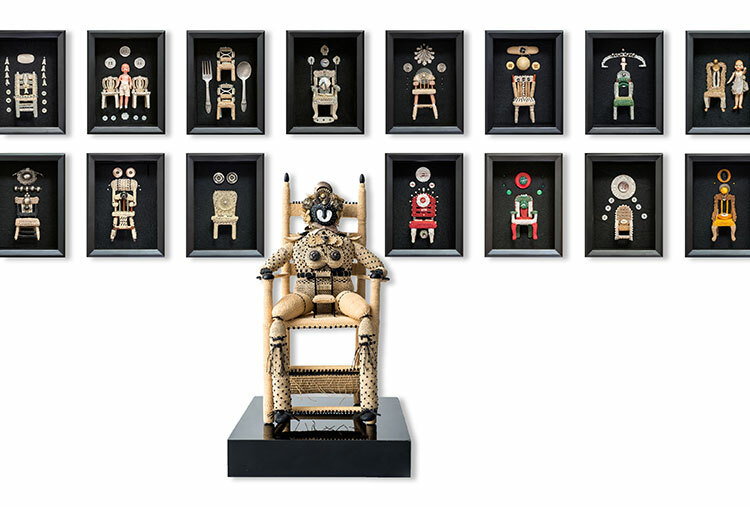 “What now?…What now?…What now?…” surrounded by 80 individually rendered chairs in frames. 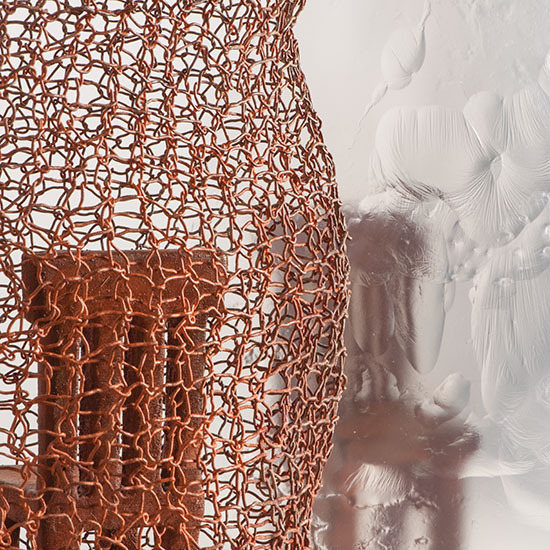 The intimate and emotional sculpture chronicles domestic life. The dollhouse chairs, dolls, buttons and embellishments used in the work were collected by the artist from family members, flea markets, antique stores and friends. 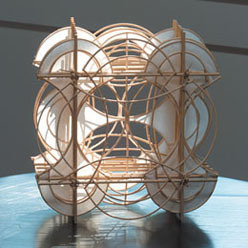 Mulford spent a year on the work, which marks her upcoming 80th birthday. 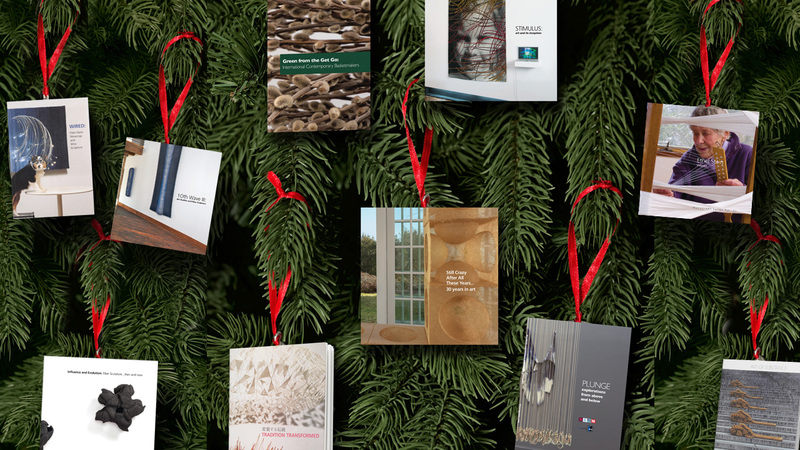 She has also produced a limited-edition book, 80 Empty Chairs, as a part of this project. 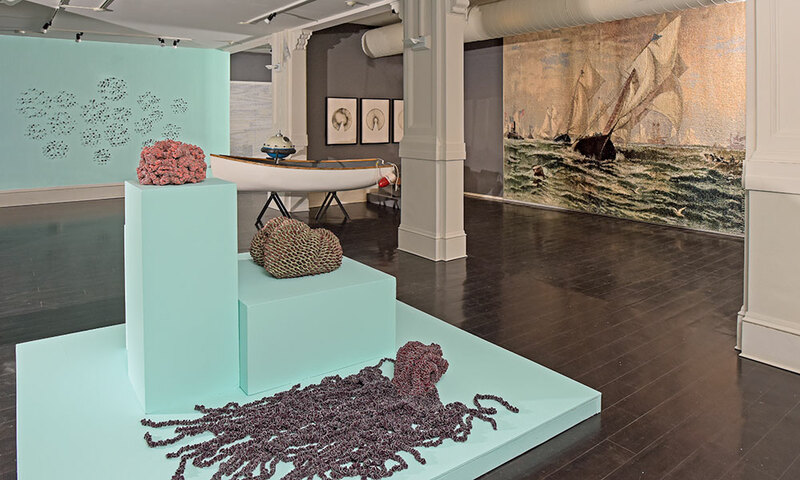 Mulford’s sculptures have been exhibited at the Museum of Arts and Design, New York, the Mint Museum of Craft + Design, Charlotte, the Smithsonian American Art Museum, Renwick Gallery and The Textile Museum, Washington, D.C. and the 12th International Biennial of Tapestry in Hungary. 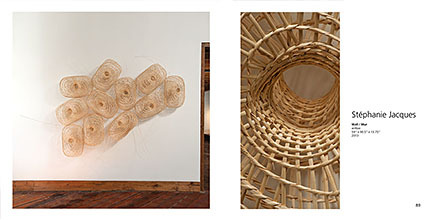 Mulford’s work is informed by her studies of the basket-making culture of Micronesia, particularly on the islands of Truk and Ulithi. 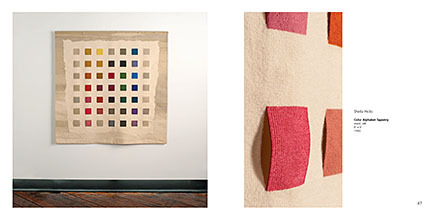 She was a member of the studio team for Judy Chicago’s The Dinner Party in the 1970s. 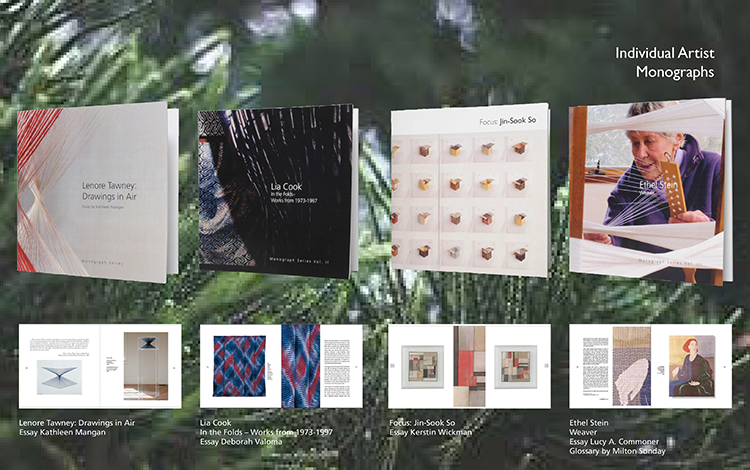 Mulford will speak at her Special Exhibition booth, SE221, and sign copies of her book at 3:30 p.m. on Friday, November 4th. Mulford will also be at browngrotta arts, Booth 921 at 1:00 p.m. on Sunday the 6th and will be available for questions and conversation throughout SOFA. 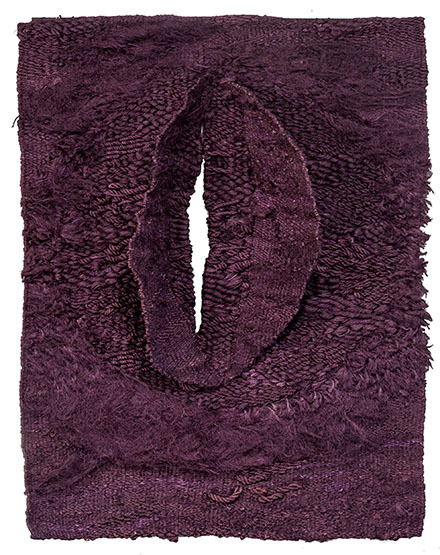 Next month, browngrotta arts will present an eye-catching installation from Norma Minkowitz‘ series, The Gathering in it Booth 921 at SOFA Chicago (November 3-6). 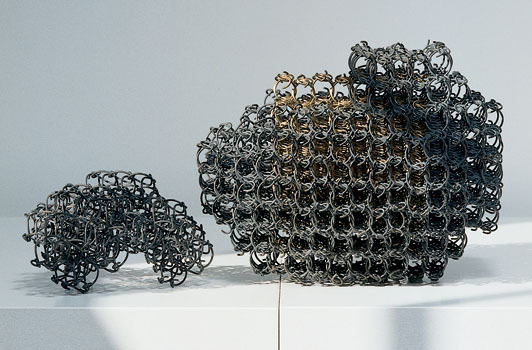 Minkowitz is known for intricate pen-and-ink drawings, collages, crocheted wall works and three-dimensional mixed media sculptures. 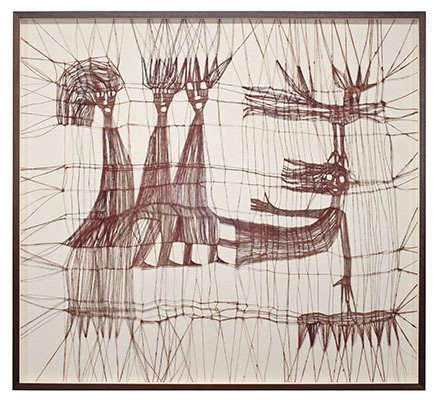 Her work is included in the permanent collections of the Metropolitan Museum of Art, New York, New York, Renwick Gallery, National Museum of American Art, Smithsonian Institution, Washington, D.C., Museum of Arts and Design, New York, New York, Montreal Museum of Fine Arts, Canada, Philadelphia Museum of Art, Pennsylvania and the Wadsworth Atheneum, Hartford, Connecticut (where t s currently on display in the exhibition, SHE: Images of Female Power from the Permanent Collection, through April 2, 2017). 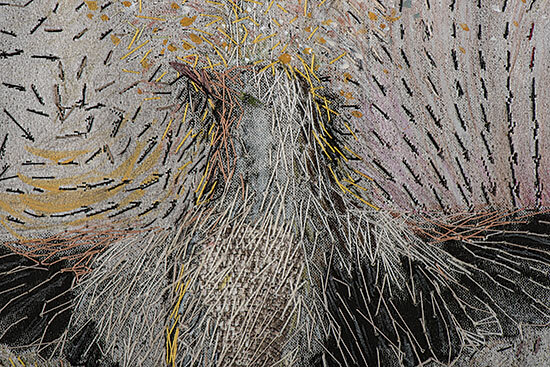 The Gathering at SOFA will combine three-dimensional, life-sized birds, rendered in stiffened, crocheted linen, and gut with pen-and-inked detail with meticulously stitched drawings of bird flight, captured at high speed. The artist’s new multimedia work, Are We the Same?, will also be on view in one of SOFA’s public spaces. 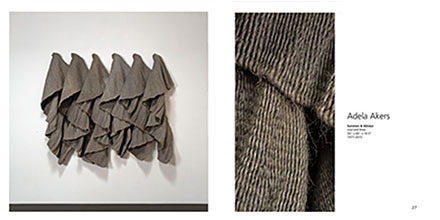 Minkowitz will attend the opening of SOFA on Thursday evening and will speak about her work as one of three artists in the panel, Fiber Art in Three Dimensions: A History and Discussion of Fiber Art Off the Wall at 10:30 a.m. to 12 p.m., Lecture Room B on Friday November 4th at the Navy Pier. 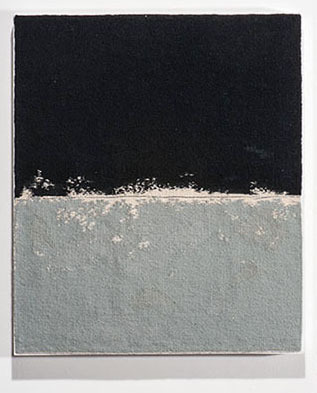 At 2 p.m., on Friday, Minkowitz will be at browngrotta arts Booth 921 for an Artist Q&A. For more information, visit: http://www.sofaexpo.com. Perhaps it’s in the air — or are three avian-themed art exhibitions in one season a mere coincidence? In any event, there are three very different takes on a popular theme for viewers to sample. 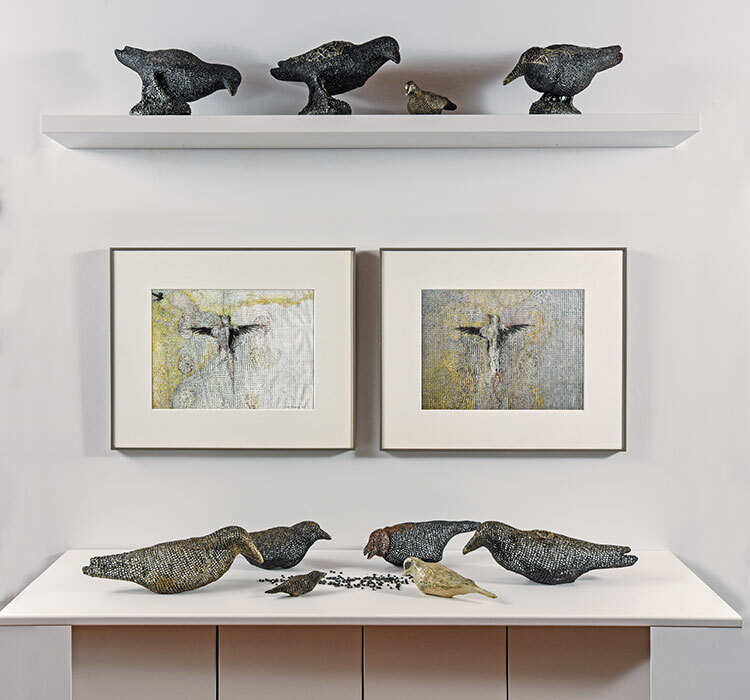 At the Shirley Fiterman Art Center, 81 Barclay Street, New York, NY, 10007 is The Conference of the Birds, curated by painter Brenda Zlamany. The Conference of the Birds, is based on a poem composed in the 12th century by the Persian poet Farid ud-Din Attar, about an epic, mystical quest narrative in which hundreds of birds embark on a perilous journey in search of a king called the Simurgh, who can right the wrongs in their world. Attar’s poem can be seen as a metaphor for the often perilous journey of self-discovery that artists face. 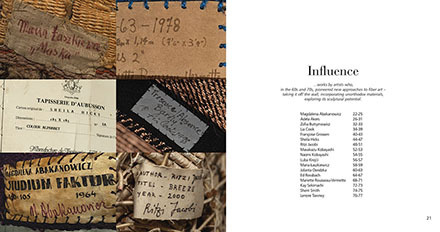 This metaphor and the rich imagery of birds in the poem are the gravitational glue that brings together a diverse group of works for this exhibition, which features 36 artists. 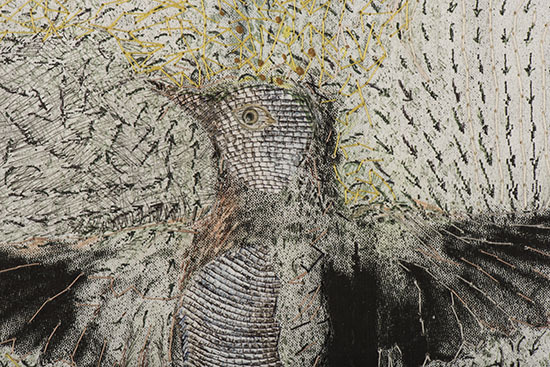 Among those included are Lesley Dill and Norma Minkowitz, who is exhibiting works from her new Patterns of Flight Series, which combines detailed drawings, collage and stitching. 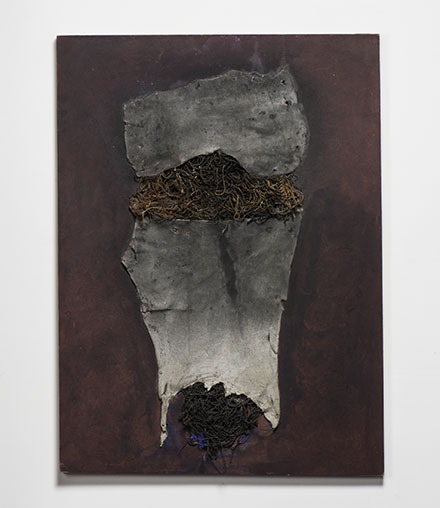 The Gallery, located at the Borough of Manhattan Community College, is open Tuesday through Saturday from 12 to 6 p.m. For more information, go to: http://www.bmcc.cuny.edu/sfac/. At the Katonah Museum of Art through June 19th, is theThe Nest, an exhibition of art in nature, which provides an unexpected lens through which to observe the fascinating parallels between human and animal behavior, raising timely questions about the survival of birds and their habitats in our increasingly fragile ecological world The Katonah Museum of Art is at 134 Jay Street/Route 22, Katonah, New York, and is closed on Mondays http://www.katonahmuseum.org/exhibitions/TheNest/. Baby Birds: An Artist Looks into the Nest is at Mass Audubon in Lincoln, Massachusetts now through September 18th. The featured artist, Julie Zickefoose, is an author, artist and naturalist in addition to being a wildlife rehabilitator. She works in a variety of mediums, though primarily watercolors, leaving the viewer with the sense that connectivity is important to all of us. Also on exhibit at Mass Audubon is Classic American Bird Carving: An Introduction. The Museum is located on a 121-acre wildlife sanctuary and has a collection of engravings and lithographs by John James Audubon and related works by many other artists including sculptor Larry Barth, Charly Harper and 100 prints from his Endangered Species series that were donated by Andy Warhol. The Museum of American Bird Art is at 963 Washington Street, Canton, MA 02021;781-821-8853; http://www.massaudubon.org/learn/museum-of-american-bird-art/exhibitions/current-exhibitions/baby-birds-an-artist-looks-into-the-nest-watercolors-by-julie-zickefoose. 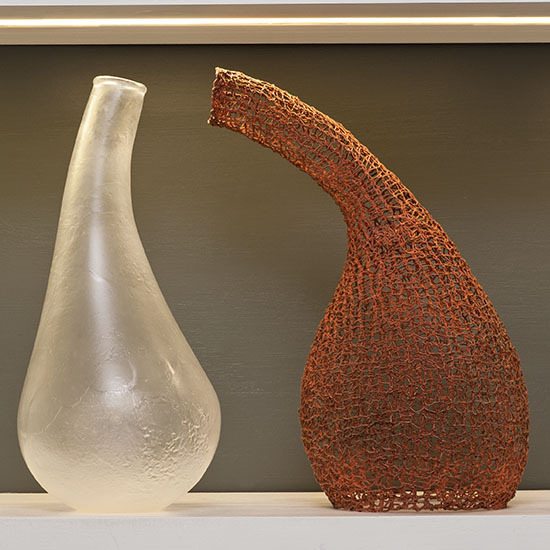 1) Think objects: If you are in your first apartment or are fairly certain that a move is in your future, Ceramics, Art Baskets, Glass sculptures can be easier to place in your next home than a large wall piece may be. 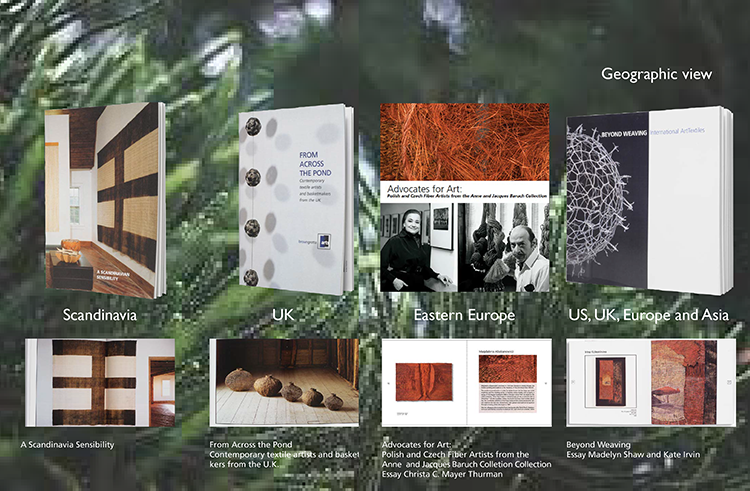 2) Invest for impact: Prints are generally less expensive than originals, editions less expensive than a one off. And you will find that some mediums are, in general, priced more accessibly than others. 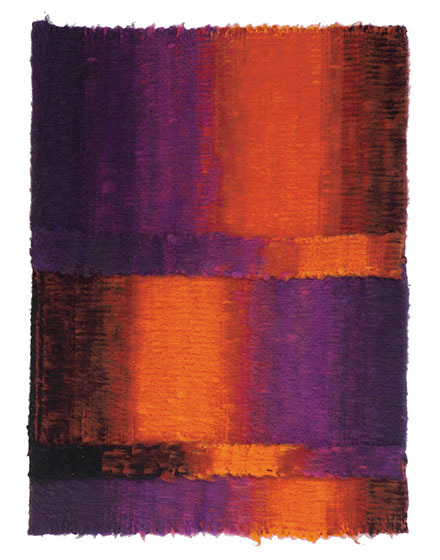 Art textiles and fiber sculpture are an example. Work by the best-known artists in the field go for under a million dollars, compared to tens of million dollars for paintings by well-recognized artists. 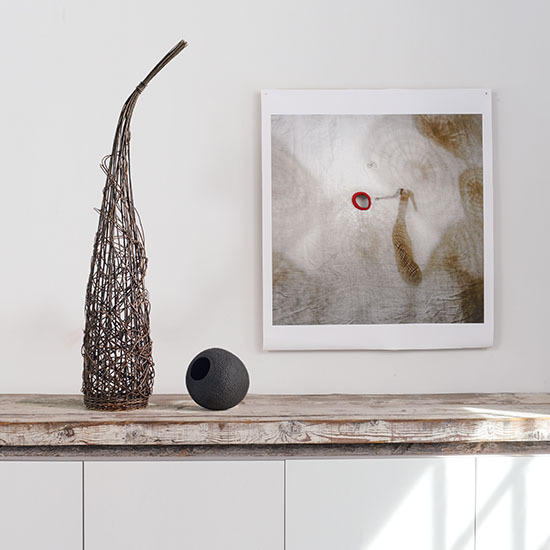 You can start small with works in fiber, ceramics and wood, and create a small, but well-curated, collection. 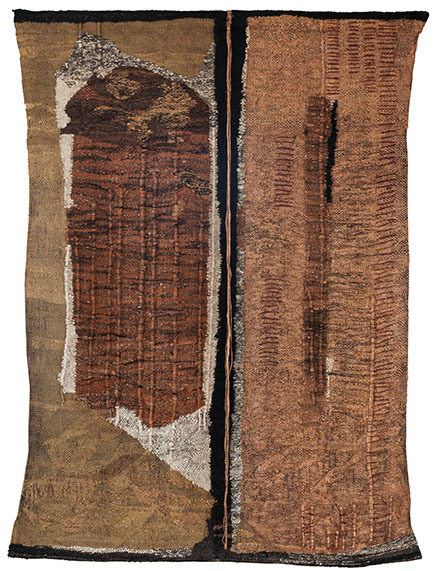 Consider Naomi Kobayashi, a Japanese textile artist whose work is in the permanent collection of many museums, including the Metropolitan Museum of Art and whose work can be acquired for $1000. Or an up-and-coming artist like Stéphanie Jacques from Belgium, whose masterful multi-media works address issues of gender and identity, and begin at prices below $1500. 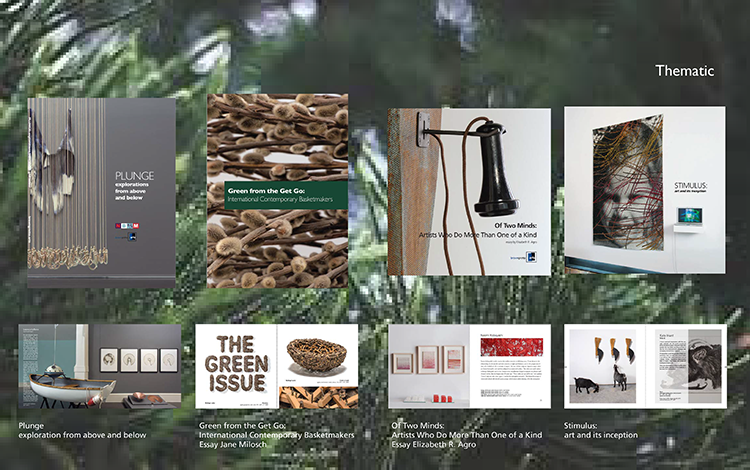 3) Take advantage of digital placement: Reviewing art online is a great way to expose yourself to a wide variety of work, and develop your personal aesthetic. Once you’ve found a work that appeals, digital placement can give you a greater level of confidence before you press “Buy.” At browngrotta arts, we ask clients to send us a photo of the space the propose to install the work. 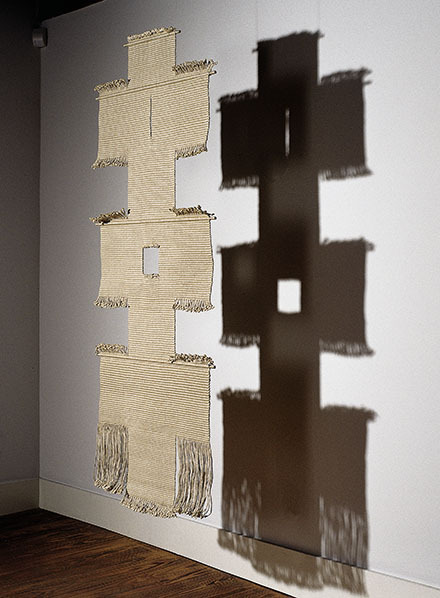 We can digitally install the piece, to scale and with shadow, so you have a sense of how will work there. 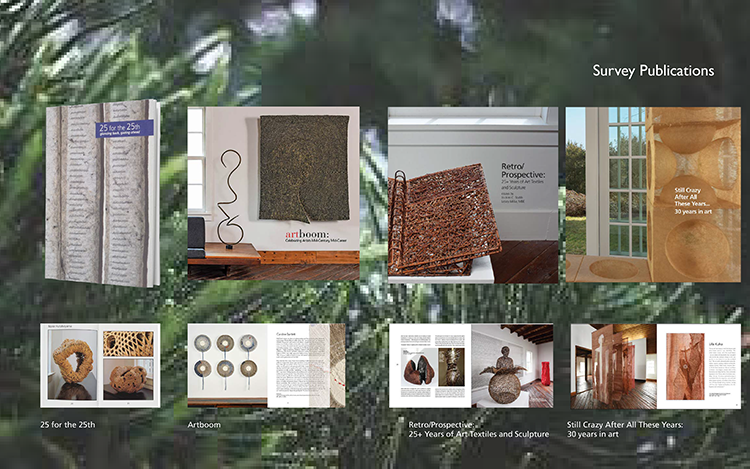 4) Document: If the work you purchase has appeared in a book or a catalog, make sure you get a copy. Ask the seller for any information he/she has on the artist for your files. 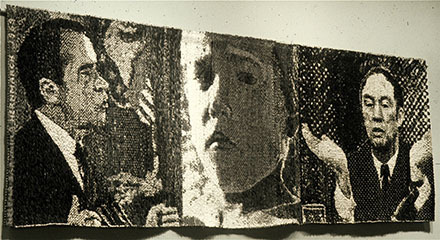 On each artist’s page on browngrotta.com, you can find a list of publications in which the artist’s work appears. The documentation is good to have for insurance and appraisal purposes and you can watch as the artist’s cv —hopefully — expands in the next several years. 5) Buy for love: It’s great to learn 10 years down the road that a work of art you purchased has appreciated and is worth more than you paid for it. We’d argue, though, that if you’ve enjoyed owning it for 10 years, and thought each time you looked at it, “I really love that piece,” you’ll have gotten your money’s worth, and enriched your life in the process.